Every fashionista in the world owns at least one piece of vintage clothing and you know why? Because vintage is still trendy and will always be! Yes, you heard me right. Check on the covers of your favorite magazines, on TV or on the catwalks these days. Hollywood stars who want to amaze the audience on the red carpet choose to wear vintage clothes and they never get it wrong. Vintage is unique and versatile. You can have a simple piece of vintage clothing in your wardrobe and match it with your everyday clothes to get a very fresh and stylish look or brighten up your outfit with vintage accessories and you will be the best dressed of the night. And you will never have to worry about meeting someone dressed just like you, because vintage is rare and one of a kind. Take a look at some still actual fashion trends here. Vintage also means quality: new clothes today are made in the shortest amount of time and with the cheapest fabrics. Vintage clothing is made with excellent fabrics and every detail is taken care with attention and care. Do you still need reasons to buy vintage? Or do you want to know where to? Check this list to know where to find the best and most glamorous vintage clothes. 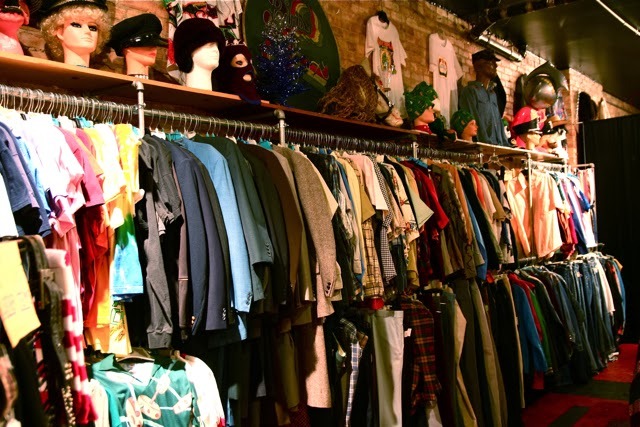 · Vintage stores: of course vintage stores are the best place where to find the rarest and most beautiful pieces of clothing and accessories from the past. All that you can see there has been carefully selected (and also cleaned) by the sellers for their quality and style. You can see the garment with your own eyes and touch it, feel it and try it of course! Don’t forget thrift stores and charity shops: you might find there very particular pieces of clothing that everyone forgot and that you can make your own! · Online shopping: Buying clothes from the past in the future is just as easy. There are lots of clothing stores online with beautiful vintage pieces. All you have to do is to choose the one you like and pay, your clothes will be delivered directly to your door. Look especially for knitwear, blouses and coats as they fit over several sizes and you can avoid bad surprises! And don't forget that there are also people who want to get rid of their own stuff, without even considering their fashion value! Nowadays, they often sell these clothes online, so you should definitely check free classified websites (Sahipasand.com is one of them) for pieces of clothing available in your city (or in neighborhood). You’ll surely find what you are looking for and maybe even something you didn't expect. · Your house: Ask your family members to take a look at their old collection of clothes. Ask your grandma, your aunt, your mother and I’m sure you will find something from decades ago that is still very trendy and in vogue these days. And the best thing is that it’s free! What are you waiting for? Go get them before someone else steals them from you! 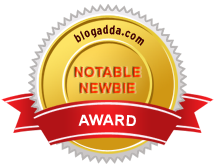 About The Author - This is a guest post by a young, aspiring writer named Aisha Mehra. Aisha loved reading and writing even when she was just a little girl and now her passion has just increased and evolved. After her studies, she moved to the UK where she actually lives and works as a freelance writer. She is also a passionate traveler. vintage surely has its own charm!! Wow lovely post Aisha. I love Vintage!